STEM challenge activities are so much fun. 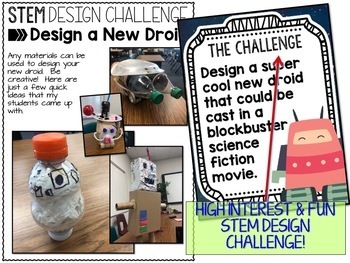 But, finding the time to incorporate design challenges into your curriculum can be difficult. 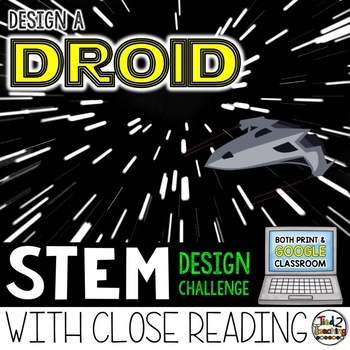 The New Model of DROID Design Challenge is part of the STEM with CLOSE READING series. 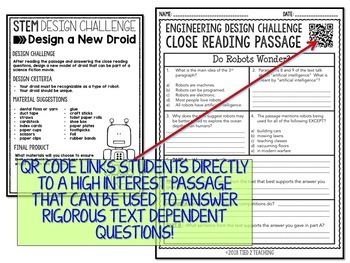 It seamlessly allows you to tie together the curriculum by giving you rigorous text dependent questions that go with a high interest reading passage IN ADDITION to the fun STEM activity! 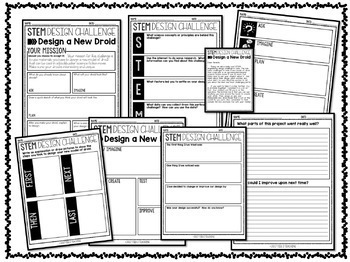 Soar to new heights when you put your thinking cap on and let the STEM adventure begin!